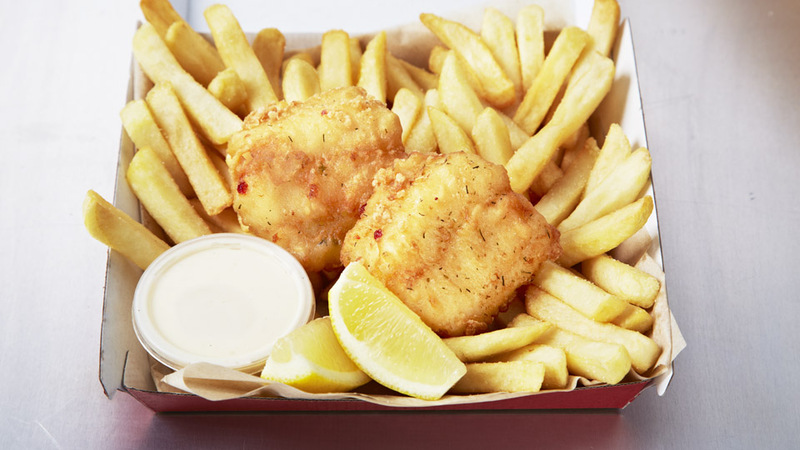 Two Chunky Fish Bites & chips. Perfect as a quick meal or a great afternoon snack, depending on your appetite. It comes with a wedge of lemon, all you have to do is choose your sauce. We cook all our food in hi Oleic oil, which is cholesterol free, high in monosaturated fats and low in saturated fats.